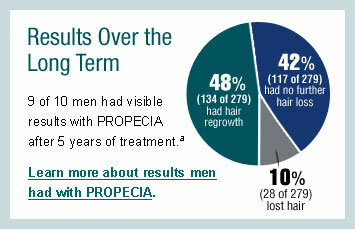 Frequently Asked Question regarding Propecia. 1.0.2 How does it work? 1.0.3 When is the best time to start using? 1.0.4 What are the side effects? 1.0.5 Who is not suitable to take this drug? 1.0.6 How long do I have to take it? 1.0.7 How should I take it? 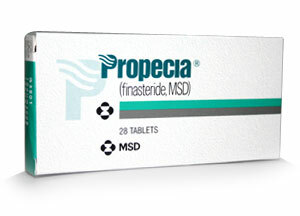 Propecia is the only pill for the treatment of male pattern hair loss. It is an oral medication that is taken once a day, either with or without food. This drug is only available by prescription. Its use is for men only and should never be used by females. Propecia actually works by preventing the conversion of testosterone to dihydrotestosterone in the body. When is the best time to start using? When deciding whether to start this treatment it is better to start sooner rather than later. Sexual adverse effects occur at the rates of 2.1% to 3.8%, erectile dysfunction being the commonest followed by ejaculatory dysfunction and loss of libido. These effects occurred early in the therapy and returned to normal on stopping or over a time on the continuous use of the drug. Who is not suitable to take this drug? This drug is for the treatment of male pattern hair loss in men only. Women should not take Propecia. You need to take the drug for as long as you want to continue to benefit from use. If you stop taking this drug, you will likely lose any hair you have gained in 18-24 months of stopping treatment. It may be taken with or without meals and with or without other medications. This drug will not work faster or better if you take it more than once a day.